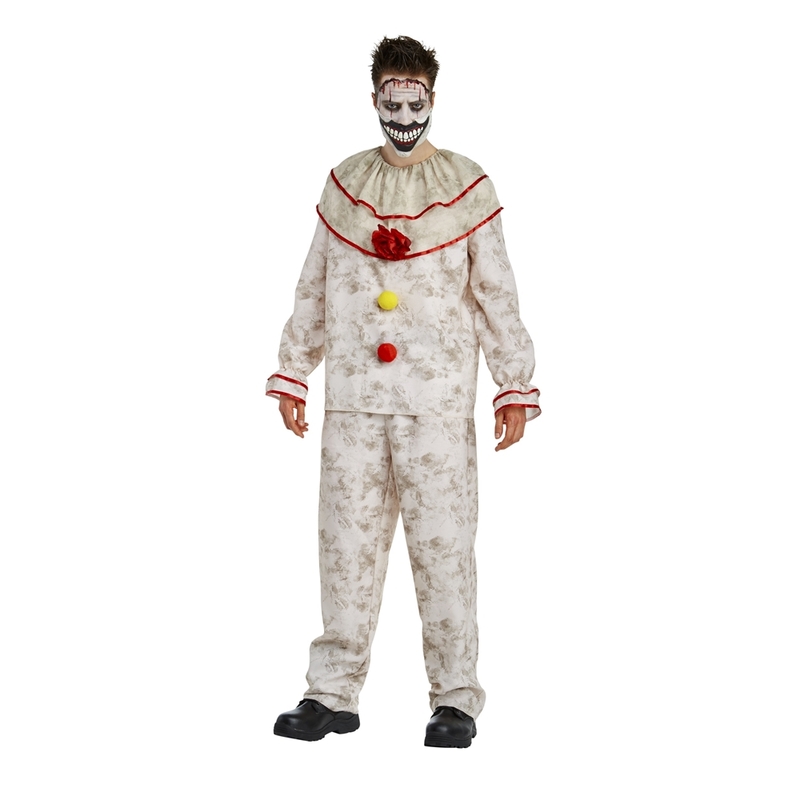 Be a good clown this Halloween dressed in this American Horror Story Deluxe Twisty the Clown Adult Mens Costume. Modeled after the kidnapping, serial killing clown from American Horror Story: Freak Show, this 3-piece deluxe adult men’s costume includes a Twisty the Clown shirt, pants, and sculpted mouthpiece. The off-white shirt and pants are detailed with gray splotches to give a worn-out appearance. The costume shirt features an attached ruffled collar with red trim and a fabric red rose, matching red trim on the cuffs, and a yellow and red puff balls down the front center. The sculpted mouthpiece covers the lower half of the face. It features a large white grin with painted black lips. Keep the children safe as Twisty the Clown this Halloween.